Home automation often thought of as smart home technology is a new and growing field, unfortunately, it is often misunderstood. What is the difference between a Smart home and home automation. 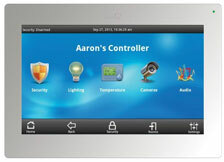 These and other questions are answered when considering your home automation system. There are ample benefits to smart home technology, from the time that you drive into your driveway or come to your front door, in matching the entry lights are turned on automatically, the security system is disarmed, the thermostat is adjusted to a comfortable level of your choosing. This is done all automatically without you doing anything. When away from home, your home goes into vacation mode, turning various lights on at different times. In addition it monitors the home temperature and adjust the thermostat to prevent damage from freezing or bursting pipes. Your home will monitor your electrical and gas systems optimizing as needed to keep your utilities within budget. With the addition of smart appliances such as coffeemakers refrigerators your system will system will seamlessly begin the brewing process at a specific time and notify you when critical grocery supplies are low. Have an in-house babysitter, and you can't resist the burning desire to check up on your children, our system will allow a viewing of a single room or the whole house right from your smart phone or connected device. Entertainment, no problem I'll system allows you to create multiple scenes for various lighting effects throughout the home, with a simple push of the button from a smart remote or smart phone app, adjust the lights, turn on the TV to your favorite channel, lower the automated window treatments, and dim the lights, let the games begin. From unified remote controls that control every piece of your AV system, to whole house control systems, we have a solution for every purpose and need. Imagine it we can design it and install it.